Q: What is the Front Porch Roll Call program? 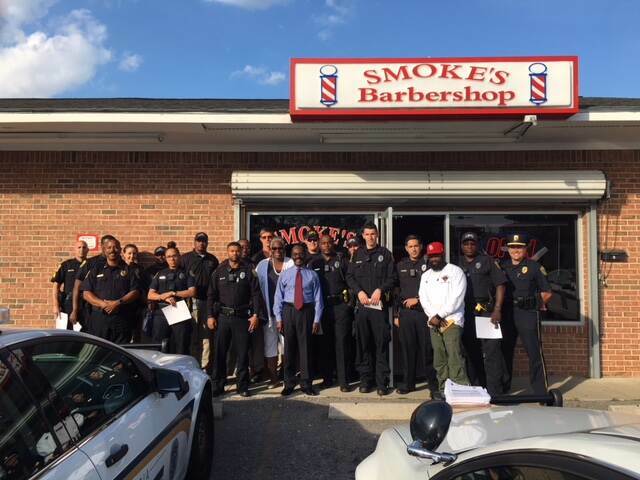 A: The Front Porch Roll Call program was developed to support the department’s community policing initiative. It consists of hosting a police squad’s pre-shift roll call at a home in the neighborhood or area patrolled by that squad and shift. Q: What is the goal of a Front Porch Roll Call? A: The goal of a Front Porch Roll Call is to build better relationships between officers and the community. These meetings give officers an opportunity to build relationships, impact changes when necessary and develop trust within the community by simply having an open conversation. Q: What happens during a Front Porch Roll Call? 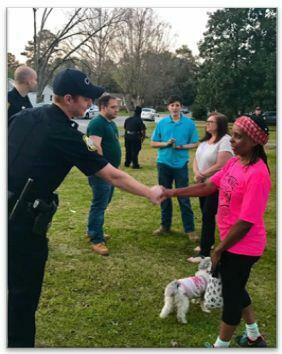 A: During a Front Porch Roll Call, officers are present to answer questions about community concerns, provide insight on current crime trends and engage with residents. In addition, supervisors inspect uniforms and equipment before giving out patrol assignments and answering any last-minute questions prior to start of their shift. Q: How can you be selected to host a Front Porch Roll Call? A: Complete the Front Porch Roll Call contact card below. The information will be forwarded to the appropriate region for review.